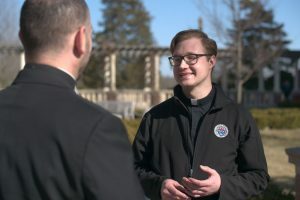 CEDAR RAPIDS — Though he first gave thought to the priesthood as a possible vocation already when he was in the eighth grade, Deacon Jacob Rouse said he initially hesitated to embrace the idea of becoming a priest. 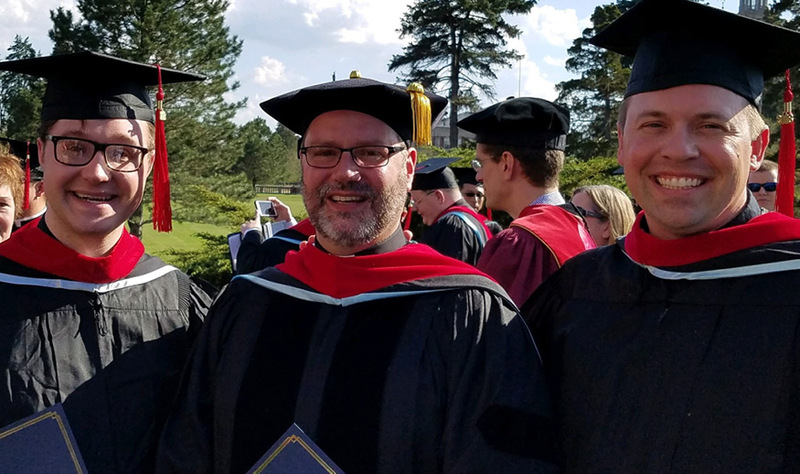 “After imitating the prophet Jonah by running away and doing my own thing through college, I finally felt the call to try seminary …” reflected Rouse, who will be ordained a priest for the Archdiocese of Dubuque on May 26 at the Cathedral of St. Raphael in Dubuque. 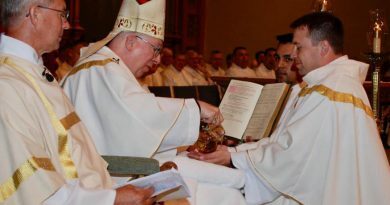 The soon-to-be priest said he believes God waited patiently for him, letting him first experience dissatisfaction with the plans he had made for his own life, before he ceased his running and accepted the more fulfilling plans that God had for him instead. “The freedom that came with finally saying ‘yes’ to the committed love of priesthood has been deep and indescribable,” he said. Rouse, 27, is the son of Dan and Jayne Rouse of Cedar Rapids. He has one brother, Joshua. Rouse grew up attending St. Patrick Parish in Cedar Rapids and is a 2009 graduate of Xavier High School. He continued his studies at Kirkwood Community College and the University of Northern Iowa before transferring to Loras College and entering the St. Pius X Seminary program. 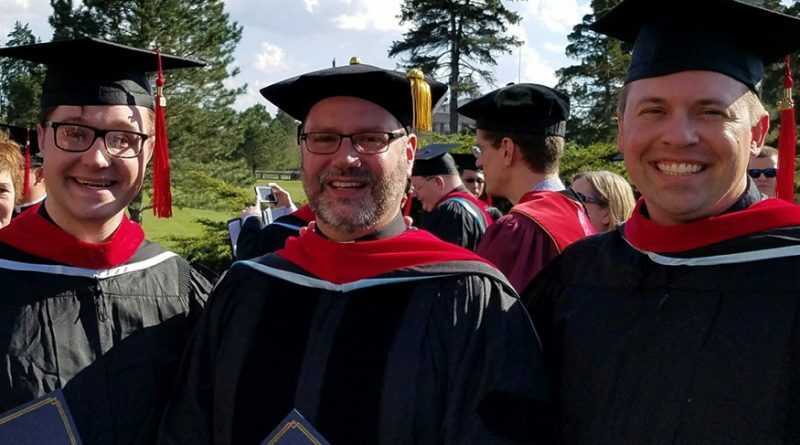 He graduated from Loras in 2014 and then enrolled in Mundelein Seminary in Illinois, from which he graduated this May. Rouse said he enjoyed his years of seminary and believes his studies contributed greatly to his personal growth. When not busy with his studies while at Mundelein Seminary, Rouse said he enjoyed frequent trips to the Art Institute of Chicago to see different artists and their paintings. He said he also enjoys film and literature analysis with friends, as well as discovering new bands with his brother and attending their concerts. Rouse credits several priests and other spiritual influences who have been exceptionally instrumental in helping get him to where he is today. Among them are his father, Dan, who he said taught him how to pray and has been a model for fatherhood for him; Fathers James Brokman and David Schatz of the Archdiocese of Dubuque; Father Dan Siwek of Mundelein Seminary; and Catholic author Flannery O’Connor. He also said three women saints in particular have been helpful to him on his journey to the priesthood: Mother Teresa of Calcutta, Therese of Lisieux and Teresa of Avila. From each he has learned something different, he said, but something valuable for his growth in the faith. 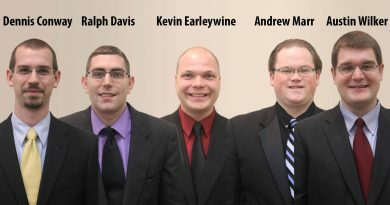 He said he hopes to live out his vocation to the priesthood alongside his friends who have a vocation to marriage. “We strengthen each other,” he reflected. Rouse said he is especially looking forward to hearing confessions and having the opportunity to continue to preach. He hopes also to have a Catholic school at a future parish so that he can be involved in the lives of young people.